From the makers of the long-established Q Tonic Water brand comes the product line extension we didn’t know we needed. It’s designed specifically to mix with “London Dry Gins,” Q Indian Tonic Water has more bitterness, more sweetness, and more carbonation. 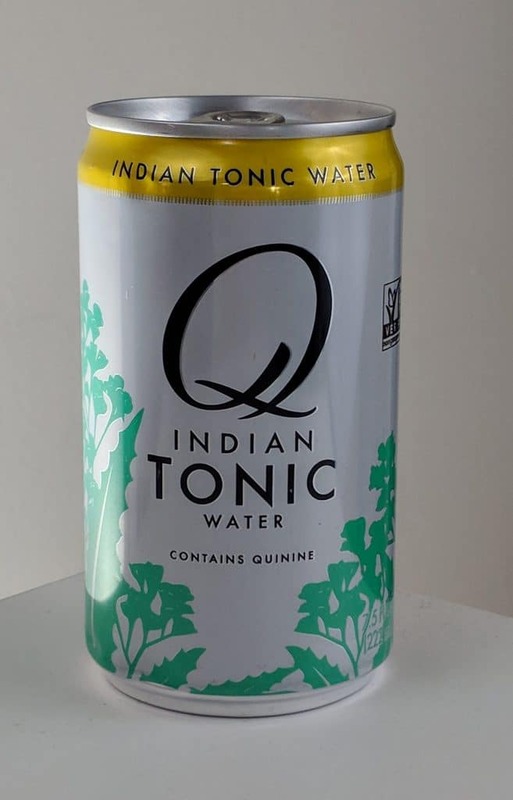 When you pour Q Indian Tonic Water, the first thing you notice is that it indeed is more fizzy than Q Spectacular Tonic Water. Rapid fizz, with plentiful jets streaming from the bottom of the glass. The nose is very clean and very plain, perhaps suggesting to me a subtle lemon seltzer. Q Indian Tonic Water has a nice but concentrated initial fizziness on the palate. It gently fades leaving a pronounced, somewhat earthy with an almost note of cherry wood quinine flavor that last in the back of the throat. It’s a much longer quinine presence; however, it’s not aggressively or assertively bitter. I find the sweetness is at the right amount. It is definitely sweeter compared to its older sister; however, it’s not cloying. It will make a sweeter G&T but it’s far from the sweetest on the market. I made a Gin and Tonic with Old Elk Distilery’s Fort Collins, CO Dry Town Gin. I love the texture of the fizziness even mixed. There’s enough bubbles that even if you prefer a strong G&T, you’ll still get some.The mid-palate is clean and left for the gin; while the finish of the gin is seemingly prolonged by the ringing quinine tone. Q Drinks makes a variety of really good sodas. But as far as tonic waters go, I think Q has managed to outdo even their quite excellent Spectacular tonic. Q Indian Tonic Water is a near perfect balance of sweetness, carbonation and bitterness. Though they suggest that it pairs best with London Dry Gins, I think that this tonic water is best paired with any gin that has a bold flavor. Or if you prefer less tonic water in your G&T by volume. Q Indian gets you all the best parts of the tonic, without as much dilution.